Janice Valls-Russell, Agnès Lafont and Charlotte Coffin (eds). Interweaving Myths in Shakespeare and his Contemporaries. Manchester: Manchester University Press, 2017. ISBN 978-1-5261-1768-7. 304pp. £75.00. This volume proposes new insights into the uses of classical mythology by Shakespeare and his contemporaries, focusing on interweaving processes in early modern appropriations of myth. 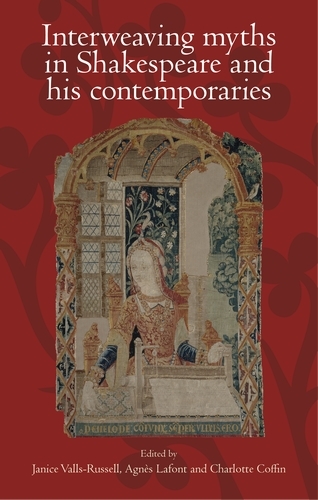 Its 11 essays show how early modern writing intertwines diverse myths and plays with variant versions of individual myths that derive from multiple classical sources, as well as medieval, Tudor and early modern retellings and translations. Works discussed include poems and plays by William Shakespeare, Christopher Marlowe and others. Essays concentrate on specific plays including The Merchant of Venice and Dido, Queen of Carthage, tracing interactions between myths, chronicles, the Bible and contemporary genres. Mythological figures are considered to demonstrate how the weaving together of sources deconstructs gendered representations. New meanings emerge from these readings, which open up methodological perspectives on multi-textuality, artistic appropriation and cultural hybridity. A. E. B. Coldiron. Printers Without Borders: Translation and Textuality in the Renaissance. Cambridge: Cambridge University Press, 2015. ISBN 9781107073173. 339pp. £65.00. How were Greek myths elaborated? How can we understand them? What critical tools can help us develop a pragmatic approach towards “a poetics of myth”? Such are some of the questions to which John Scheid and Jesper Svenbro offer new answers in their exploration of “the workshop” of the myths of Antiquity. Their inquiry, which started in their preceding book, Le métier de Zeus: Mythe du tissage et du tissu dans le monde gréco-romain (Paris: La Découverte, 1994; rep. Paris: Errance, 2003), is not only continued, but deepened and strengthened in La tortue et la lyre. Read a review on this website. Phillip John Usher. Epic Arts in Renaissance France. Oxford, Oxford University Press, 2014. ISBN 978-0-19-968784-8. xii+254pp. £60.00 (hb). This richly documented investigation into Renaissance France’s ‘intense relationship between epic and art’ (205) engages epic texts in a dialogue with their visual sister arts: programmes are considered, such as the Fontainebleau gallery which glorified François Ier and epic texts such as Dolet’s Fata, which refashion classical epic material. Ronsard’s Franciade was ‘part of both a national and a royal project and in constant dialogue with other arts’ (159), inspiring a series of paintings by Dubreuil for Henri IV. This dialogue implies rapprochements, ‘textualisations’ but also differing perspectives, within the French arts but also between French and other European artists and poets. The author recreates visual ambiences, and documents how they would have appeared to sixteenth-century viewers, so as to help his readers glimpse ‘the inside spaces as they would have been visible’ (175) then and understand how this epic art would have been read. Colin Burrow. Shakespeare and Classical Antiquity. Oxford University Press, 2013. ISBN 978-0-19-968479-3. 296p. £16.99. Shakespeare and Classical Antiquity shows the range, extent and variety of Shakespeare's responses to classical antiquity. 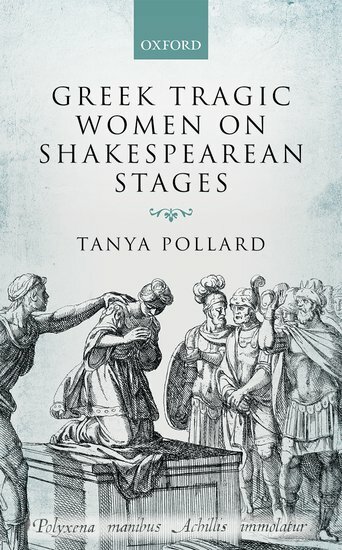 Individual chapters on Virgil, Ovid, Classical Comedy, Seneca, and Plutarch show how Shakespeare's understanding of and use of classical authors, and of the classical past more generally, changed and developed in the course of his career. Read a review on this website.